On a dark, quiet night in a dark, quiet mood, Conor lies in bed waiting for his nightmare to start, the nightmare that has been haunting him for the past year, taunting him with it's content and ghosting through even his waking hours. Instead, just after midnight (naturally) a huge, dark and twisting figure makes it's way towards Conor's house. This monster, a being as old as the earth it walks upon demands something far more frightening than its own knarled visage and ancient wrath – it demands to know, in return for three tales, Conor's truth. Yet Conor's truth, the secret knowledge that lies within his heart is the very thing he doesn't want to give - for therein lies his greatest fear. Conor is a compelling protagonist. At thirteen, he is the child of a single parent and is becoming increasingly aware that his mother's year long illness is not improving. He copes with this mainly by serving himself an unhealthy portion of denial but is subconsciously (and occasionally consciously) aware of the possibilities of a motherless future. This conflict between reality and hope results in Conor being massively conflicted. He wants to be seen but not seen; heard but not heard; loved but ultimately dismissed. To mention much more about the inner workings of his mind would be to ruin the story suffice to say that he comes across as an exceptionally brave character who it is impossible not to root for throughout. Like many young carers he often seems mature and composed for his age but the scenes he shares with his usually absent father remind readers that he is only just stepping out of childhood and doing so under the cruellest of circumstances. The three main adults in Conor's life are all very different. His mother is loving, concerned and desperate for a miracle more, one senses, for Conor than for her own well-being. His Grandmother strides around, Helen Mirren-esque and not at all Grandmotherly, unsure how to suddenly cope with a Grandson whose personality so obviously clashes with her own while also coping with the illness of a beloved daughter. Finally, there is Conor's largely absent father, a man of great uselessness and vague kindnesses – he has essentially written his way out of Conor's life and barely knows his son, never mind how to comfort him. To talk too much about the monster itself would again ruin the reading experience, but it is a creation of great force, tenderness and terror. At times it is truly ferocious, the weight of its long existence adding a frightening gravitas to its statements. At other times, though, it is kind. It sometimes gets a little caught up in its own grandstanding and is even, occasionally, slyly humorous. It is also, appropriately, a rather excellent storyteller. The plot of A Monster Calls is remarkably simple, if not entirely straightforward. From the opening page the momentum slowly builds towards a crashing and cathartic finale. The writing is exceptionally good. Patrick Ness has chosen to use uncomplicated prose and has embodied both Conor and the monster with clear, strong, individual voices. This is a story of many quiet, yet powerful moments. There are scenes between Conor and his Grandmother, in particular, that are so laden with unspoken, shared grief and miscommunication that they become hard to read yet they are also beautiful in their stark truth. Equally, there are scenes of great tension that are extraordinarily thrilling to read – one scene involving Conor and Harry, the school bully, is nothing short of electrifying. As Ness's first outing since the phenomenally successful Chaos Walking series, A Monster Calls will inevitably invite comparison but such comparison is largely arbitrary. What the author has proven in this title is that he is able to write just as astoundingly as seen before, albeit in a completely different style. 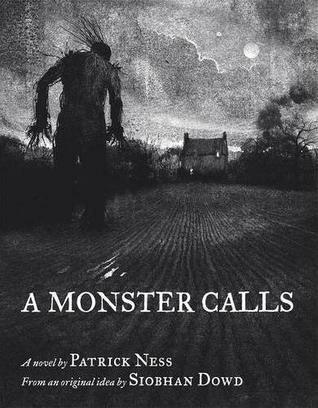 While A Monster Calls bares little resemblance to his previous books, he does return to vaguely similar themes, again looking at the shades of grey that lie behind every thought and every action. He also subtly focusses the reader on the ambiguousness of good and bad and the very nature of truth. It's all beautifully done and A Monster Calls, like Chaos Walking, will leave readers with much to think about. It is also impossible to review this book without mentioning the illustrations provided by Jim Kay. 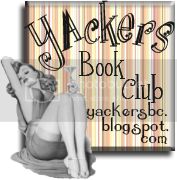 They devour whole pages and creep insidiously through the text adding atmosphere and beauty, creating a book that is a joy to hold as well as to read. To work with another author must be difficult at times and the decision to take on the work of a much loved, deceased author must be agonising yet Patrick Ness has taken the idea first realised by Siobhan Dowd and created a heart-wrenching story that is a true honour to her name. I highly recommend A Monster Calls and all previous by both authors – these are writers that truly encourage the reader to confront the deeper meanings in every day life. Stunning. More on A Monster Calls later today with an extract of the book and an interview with Patrick Ness. A Monster Calls is released today. Thank you to Walker Books for sending me this title to review. It's not actually scary - at least, not in the way you might traditionally expect a monster story to be. 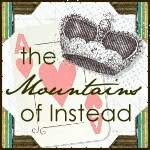 It's just very skilled storytelling and well worth a read. And Emma, your reviews are always gorgeous.